So, what are all those asterisks? Well, if I remember correctly, an asterisk meant that Alistair Hulett was sanctioned by the rest of the band to have a little chat between songs! Those of you who saw Roaring Jack live, or who have seen Alistair Hulett play recently, will know that Alistair loves to talk about his songs, and about current events and politics. So much so that the other boys got impatient sometimes to move along to the next song. I foolishly neglected to write the date on the back of this one, so I can’t be too sure when this gig took place. Judging by the song content, it has to be about 1991. And since it was only one set, this gig couldn’t have been at the Sandringham. 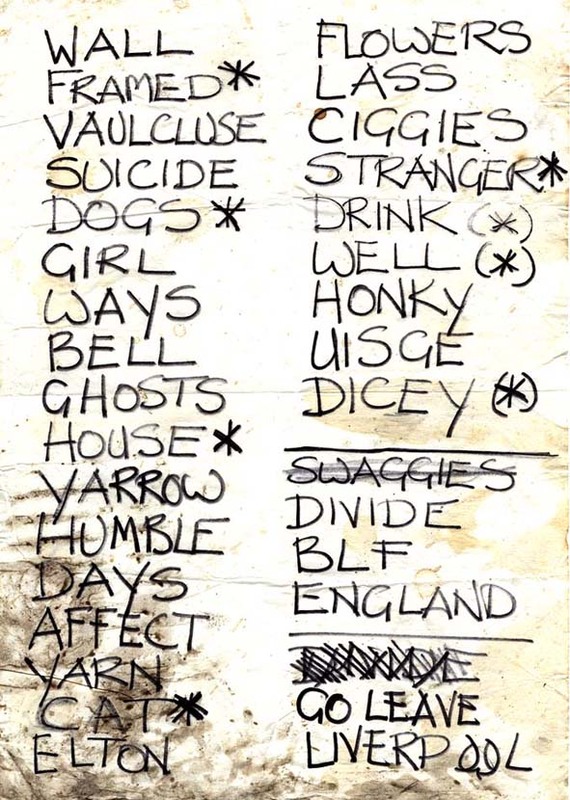 It might have been at the Illinois Hotel, which (according to my prodigious gig list) makes it either 12 April 1991 or 6 July 1991.